This patient of Dr. U had tried to conquer male pattern baldness through a series of strip procedures performed at other clinics. However, these efforts were futile due to poor growth yield and the noticeable scars which resulted. 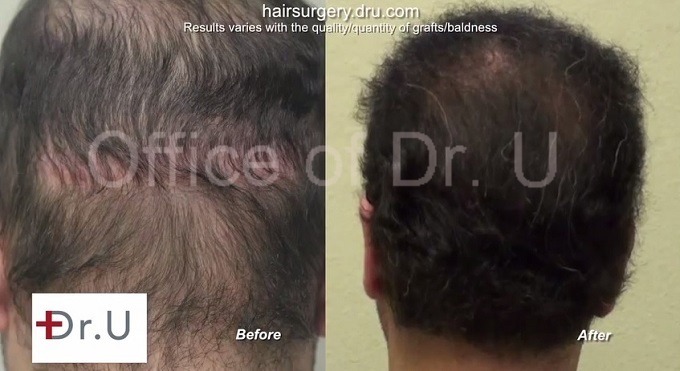 Although he needed to undergo repair surgery, he no longer had enough donor follicles on his head to significantly improve his outcome. Dr. U developed his UGraft technology with the needs of these types of patients in mind. This instrumentation makes it possible to safely extract large numbers of follicles from various regions of the body with the ability to produce exceptionally high wound healing standards in the donor regions. 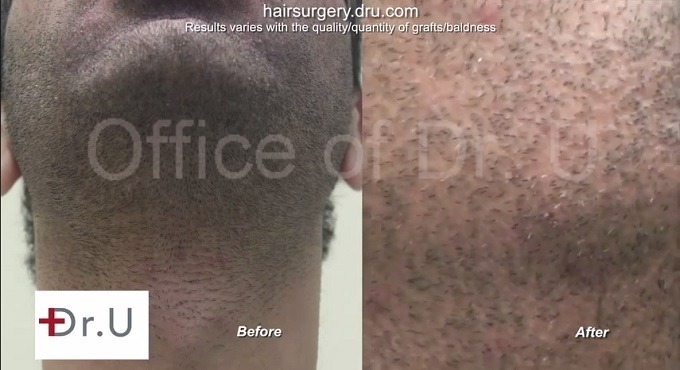 Through this approach, this patient was able to greatly benefit from an 11,000 graft donor resource pool consisting of beard, body and nape hair. 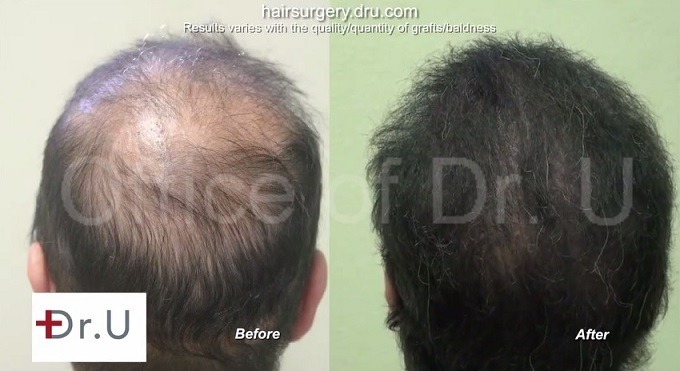 From this quantity, 9500 grafts were applied to improve the patient’s areas of sparsity and hair loss. And 1500 grafts were inserted to conceal the strip scarring. 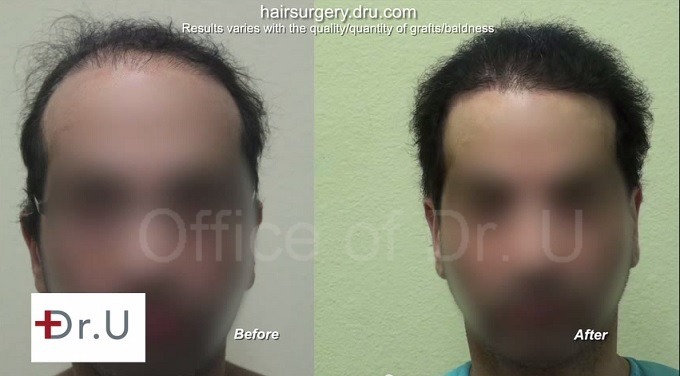 WIth the abundance of follicles that were made available, it even became possible for the patient to achieve the aggressive hairline that he wanted. These photos are shown at just 7 months following his surgery with more improvement to come. As a note, the resulting texture of the body hair grafts differs from patient to patient. Individuals can choose to leave the texture as is or apply various styling and grooming strategies to create the appearance that they want. Watch his video to learn more about his results and experience.